Welcome to Downtown MPLS! We thought we'd do you a favor by showing you some of the attractions and fine things to do and see in the "Mini-Apple". Oh, and we made sure to call out our favorites, too. 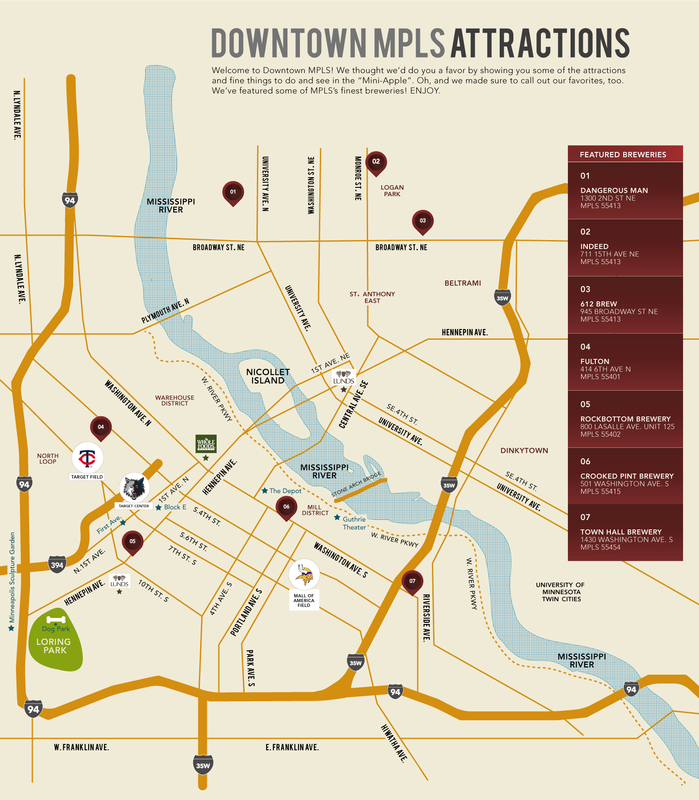 We've also featured some of MPLS's finest breweries! ENJOY.